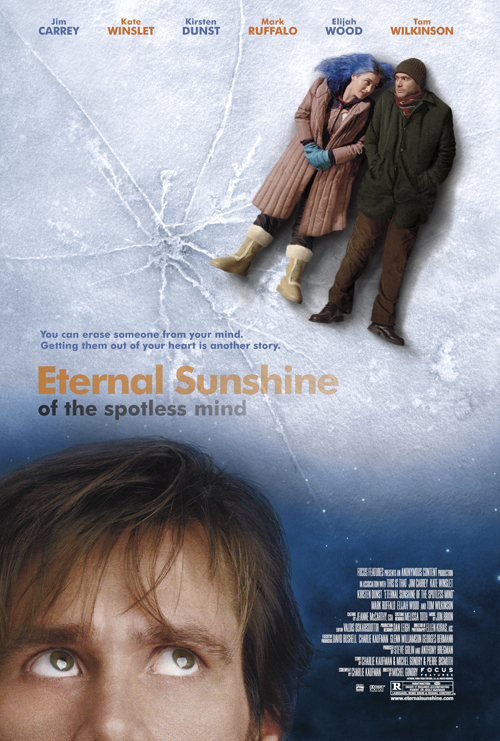 Eternal Sunshine of the Spotless Mind is an American romantic comedy movie, which was directed by Michel Gondry. It was released March 19, 2004. Although this movie is a romantic comedy movie, it is quite different from a conventional movie of this genre. The movie is about a couple who have erased their memories after they broke up. Therefore, it adopted a nonlinear narrative structure to explain what had happened before they decided to erase the memory of one another from their minds. The film starts with Joel waking up in his bed. On his way to work, he decides not to go to work, and takes the train to Montauk. He meets a woman named Clementine. They are fascinated by one another despite the fact that they barely know each other. Later, however, they find out that they were in fact lovers in the past, and the movie goes on. The movie also has an excellent ensemble cast, which includes Jim Carrey as Joel, Kate Winslet as Clementine, and Kirsten Dunst and Mark Ruffalo in supporting roles. By the way, if you are a big fan of Jim Carrey, you must watch this movie because his acting is totally different from that of his other movies. You will be fascinated by his portrayal of the serious and emotionally withdrawn character of Joel. I think almost every person has asked himself the question, "Who am I?" Most people typically seek the answer from their relationships, for example, I am a son of Mr. Hwang and I am currently a senior in the Department. of Material Science and Engineering. However, if I ask this question to some of people who don't have scientific minds or who have avoided thinking about scientific thought, how will they react to my question? I haven't asked this kind of question to anyone else before. But, if I do ask this question, I just expect that almost everyone will regard me as crazy or they will be silent. The achievements of science have upgraded our lives, but when technology is developing in a more sophisticated way, we feel more comfortable compared to the time that our ancestors lived. Most of people don't want to answer to this question, "Who am I? ", especially scientifically, and they also don’'t have any ideas about how they would answer. Finally, most of them will give up their efforts to find the answer. However, human beings have always had a kind of self-examinational question instinctively. Even if it is scientific, we will not stop our curiosity concerning this question. So, I think people will continue to need to ask these questions, such as where I do come from, where am I, and what will happen in the future? This book will give you the answer. It starts from the very first second; the big bang. I also deals with the birth of the universe and all sorts of problems that we have considered scientifically. 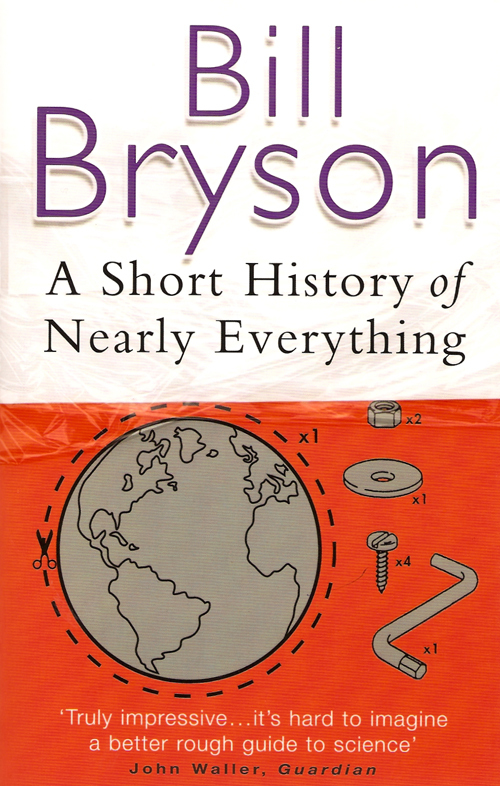 The author is not a scientist or an engineer; rather, he is a journalist and his background help readers to understand difficult scientific topics very easily. So, relax your mind to read this book, and let’'s check out who we are! 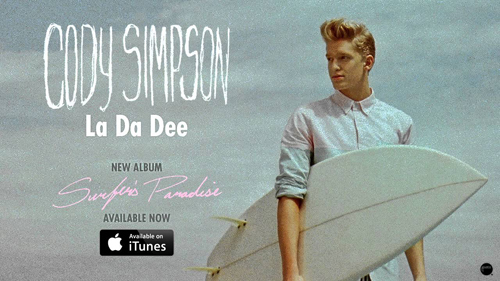 The song that I'll introduce today is Cody Simpson's 'La Da Dee'. It is from the OST for the movie 「Cloudy With A Chance Of Meatballs」. I really like this movie. The idea of making raindrops into food is fantastic, even though it didn’t work out very well. Cody Simpson is a popular singer and also a songwriter who is 18 years old and originally from Australia. At first, I didn’t like his voice, but then I tried to learn more about his songs, started listening to them, and became a huge fan of his. ‘a Da Dee’ is a song about a boy who likes his girlfriend very much. Wherever he goes, whatever he does, he is always thinking about his girlfriend. We can feel his warm love towards her. ‘La Da Dee’ is an up-tempo song that makes you want to dance. When you are on a trip, or feel a little depressed, try to take out your phone and listen to La Da Dee! It will make you feel excited. Also, if you’e interested in Cody Simpson’ music, listen to ‘lower’ and ‘Summertime of Our Lives’ They are really good, too.